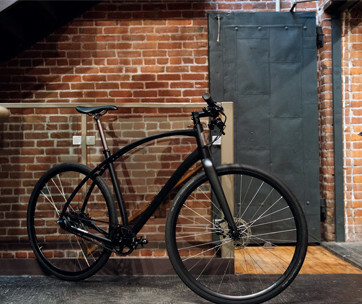 There are bike mounts and carrier systems that do a spectacular job at creating a masterpiece out of your bicycle. 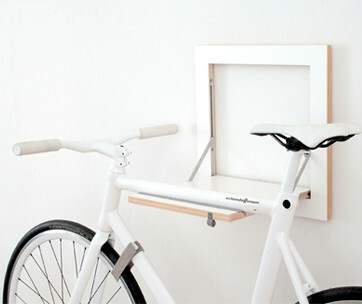 But only one system can turn your bike as the centerpiece in a bookshelf-like display cabinet. 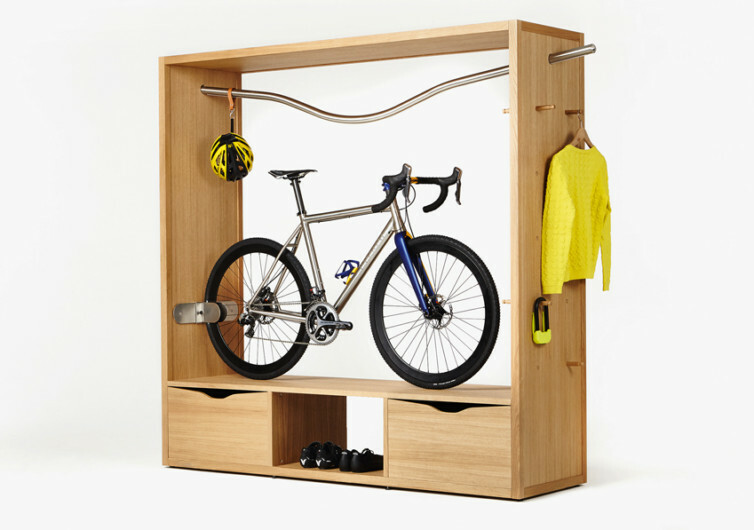 Made of solid oak wood and birch blockboard to give you an elegant furniture that is as functional in displaying your bike as it is versatile in organizing and keeping your other thing, DOMUS is a completely modular cabinet that puts the bicycle in the limelight. Being modular, the DOMUS offers a lot of possibilities. 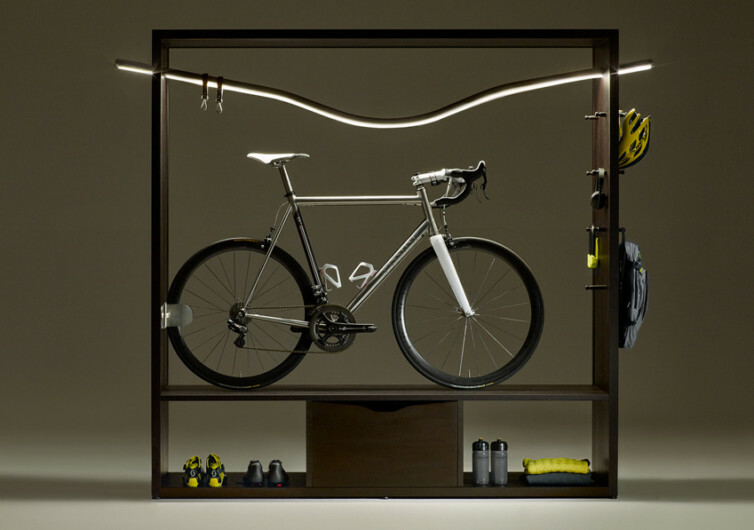 While the basic Bike Shelf is already formidable in functionality in itself, the addition of a small drawer, a side unit, a mag unit, a partition, and a big drawer is sure to make the DOMUS an exceptional piece of furniture right in your living room. 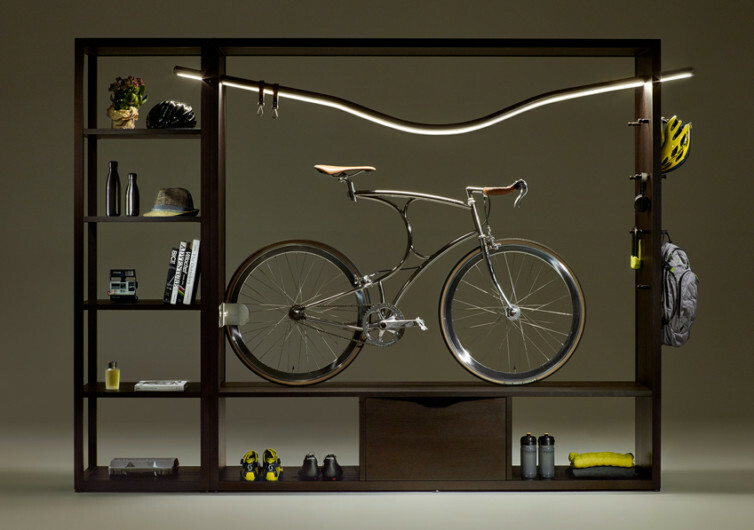 Completing the display capabilities of the DOMUS is a LED lamp that is actually a clothes rack that’s been shaped like a bicycle handlebar in keeping with the theme of the furniture. The LED lighting system is what gives the DOMUS an evocative mood as its light is reflected back by the shimmering surfaces of your bicycle. The LED light can be dimmed easily using an integrated touch sensor that makes quick work of the kind of ambiance you’d like to project. This is one showcase you will never grow tired of showing off to any visitor to your home. But the DOMUS is not only inherently functional, but it is also remarkably aesthetic. 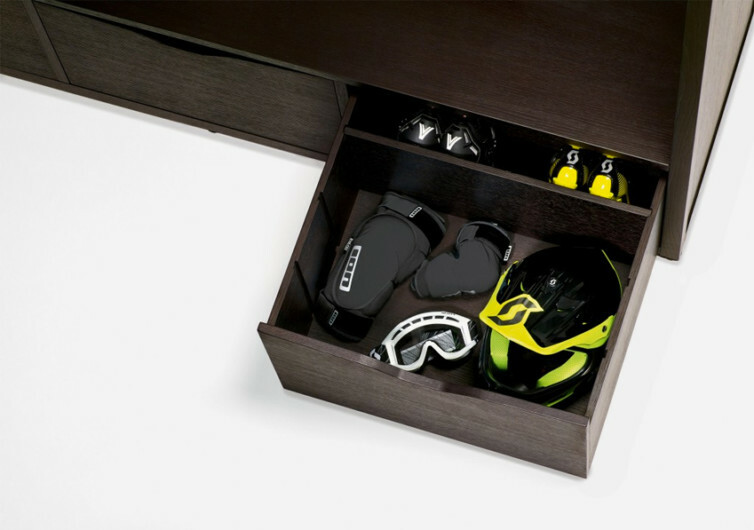 The oak wood organizer comes with a solid wood frame, giving it sturdy support regardless of the things that you put into the compartment. 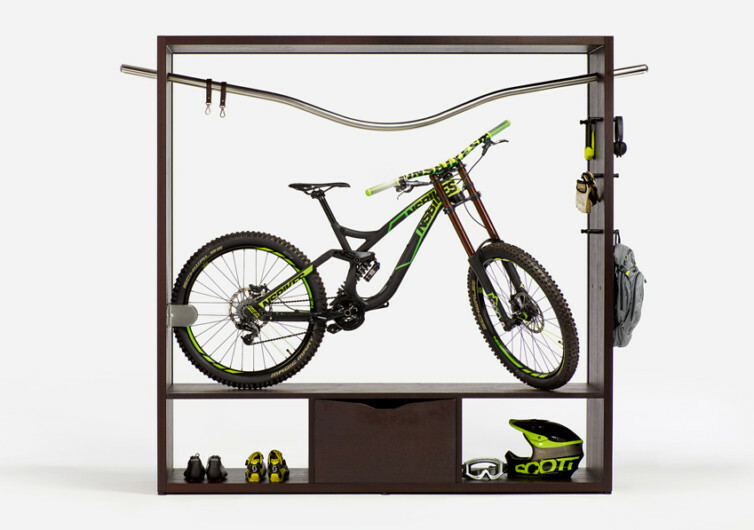 The DOMUS starts off as a bicycle display cabinet and ends with just about anything that the mind can possibly imagine. 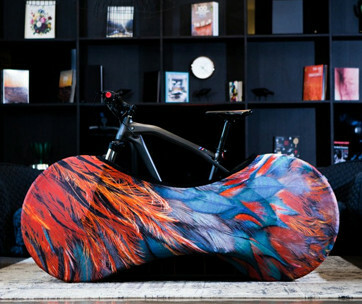 It’s a wonderful piece of art just waiting to grace your bike and all your gifts for cyclists.